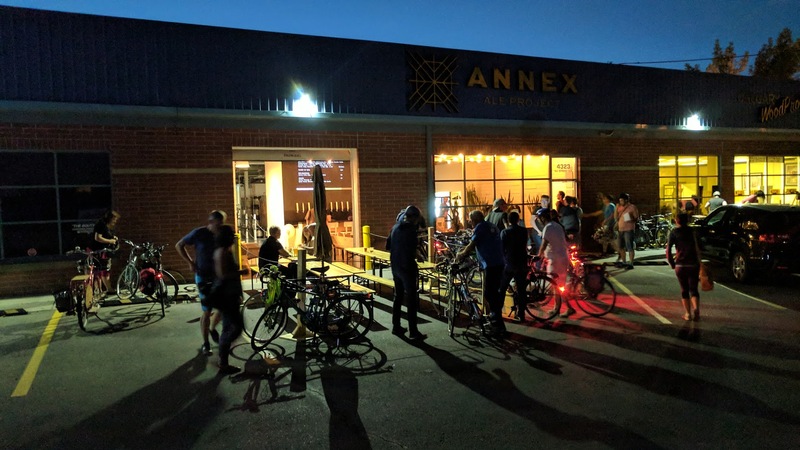 I'm going to be at Annex at 3:15 PM for reasons, and I'll be biking to the Winter Cycling Congress Pecha Kucha in time for its 6:30 pm start. That means salted string cheese and a couple of craft beers in the mean time. Whether you're attending the Pecha Kucha or not (if you are, you need a ticket https://bit.ly/2DUubE4), feel free to join me on this meetup/ride. Schedule is open, other than making sure I'm at 134 11 AVE SE by 6:30 pm. Maybe we'll chill at Annex and order a pizza, maybe we'll hit up Banded Peak or Village. We'll see. Hit me up on Twitter ( itsakev) closer to or during the event for more info.